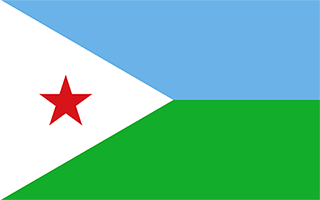 N 11° 18' 37" and E 42° 55' 45"
Holhol in Ali Sabieh Region with it's 3,519 habitants is located in Djibouti about 24 mi (or 39 km) south-west of Djibouti, the country's capital town. Current time in Holhol is now 06:39 PM (Saturday). The local timezone is named Africa / Djibouti with an UTC offset of 3 hours. We know of 8 airports close to Holhol. The closest airport in Djibouti is Ali-Sabieh Airport in a distance of 18 mi (or 29 km), South-West. Besides the airports, there are other travel options available (check left side). While being here, you might want to pay a visit to some of the following locations: `Arta, 'Ali Sabieh, Djibouti, Tadjoura and Dikhil. To further explore this place, just scroll down and browse the available info. Let's start with some photos from the area. 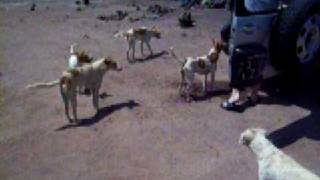 Holhol is a town in Djibouti. It is located in the Ali Sabieh Region. Located at 11.3167, 42.9333 (Lat. / Lng. ), about 1 miles away. Assa Hougoud is a city in central Djibouti. It is situated at the crossroads of the National Highway 9 and National Highway 11. Located at 11.3888, 42.8028 (Lat. / Lng. ), about 10 miles away. The Maskali Islands is a small island off the coast of Djibouti. It is located at the center of the Gulf of Tadjoura. Located at 11.4253, 43.0932 (Lat. / Lng. ), about 14 miles away. These are some bigger and more relevant cities in the wider vivinity of Holhol.